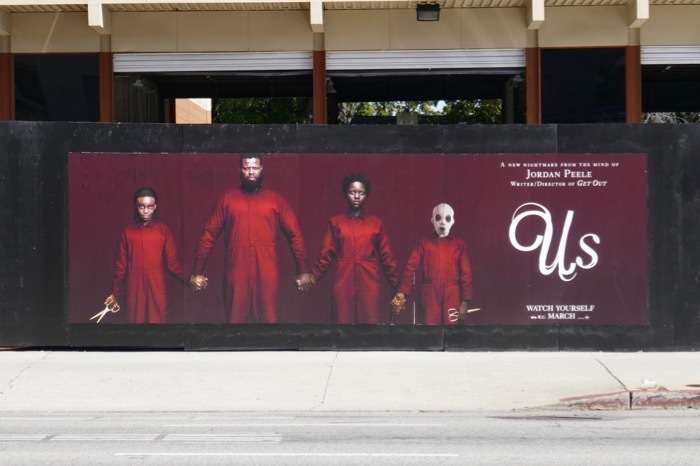 Following his box office smash Get Out, Jordan Peele is back with his second inventive and ambitious horror film, Us. 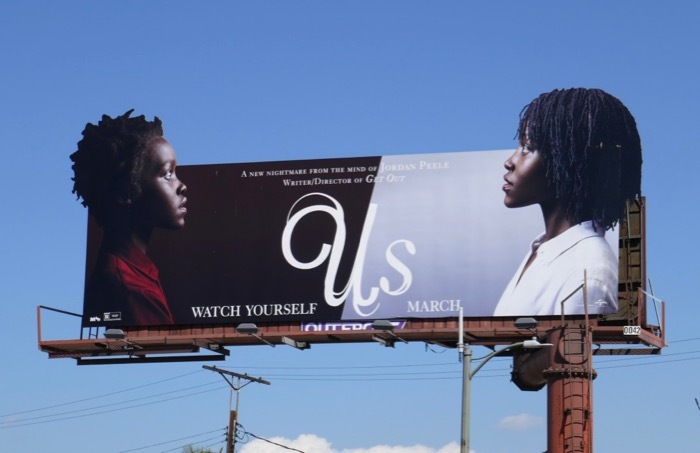 His debut horror movie not only delivered a searing satirical take on systemic racism in America, but on a budget of $4.5 million it grossed over $255 million at the box office worldwide and earned the director an Oscar for Best Original Screenplay. 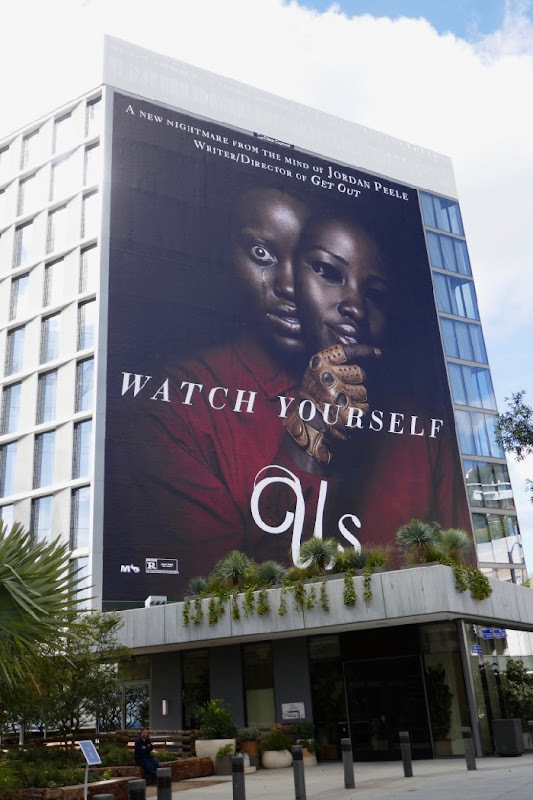 For his sophomore psychological outing it looks like he's set to supply another twisty tale, this time with the help of Black Panther co-stars, Lupita Nyong'o and Winston Duke. 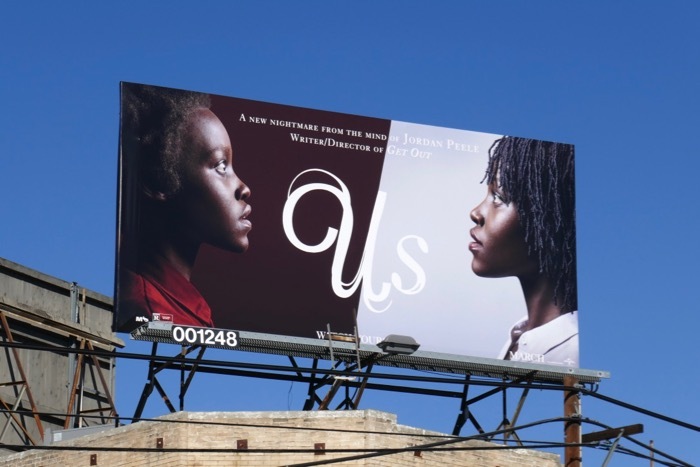 They play a married couple who take their two kids on vacation to the Santa Cruz beachfront house 'Adelaide Wilson' (Nyong'o) grew up in as a child. 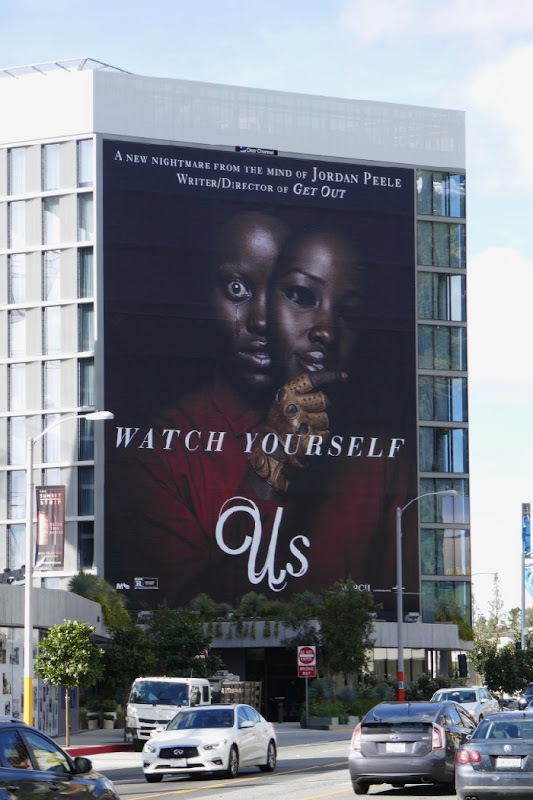 Haunted by a traumatic event from her childhood, she becomes increasingly sure something bad is going to happen to her family when a group of masked strangers descend upon their house at night. 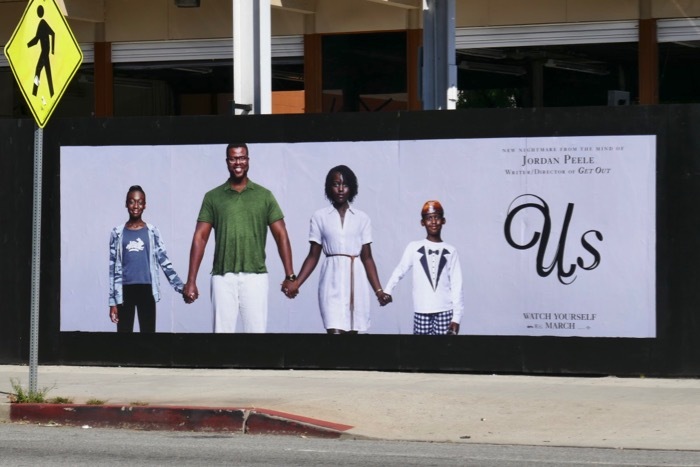 When they are unmasked the four strangers are warped reflections of her husband, her son, her daughter and herself. 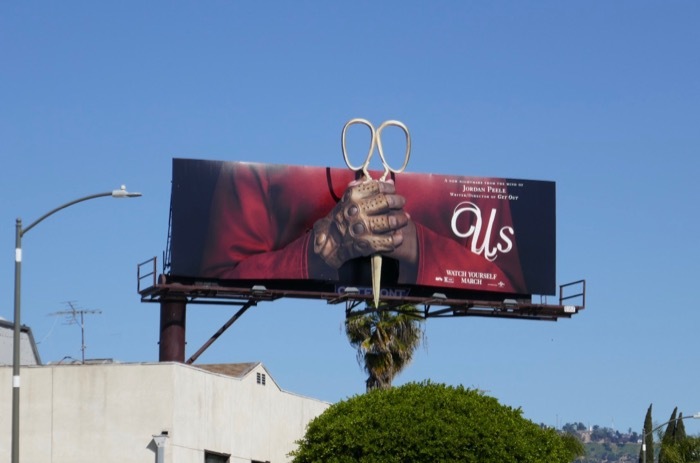 Their fun family vacation soon turns into a terrifying fight for survival against these disturbing doppelgängers. 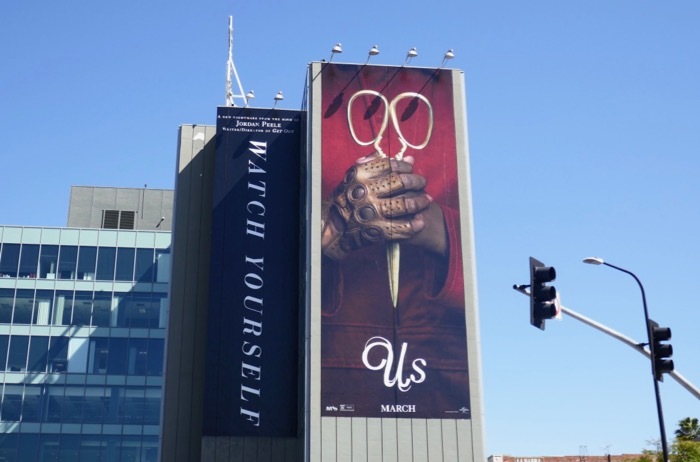 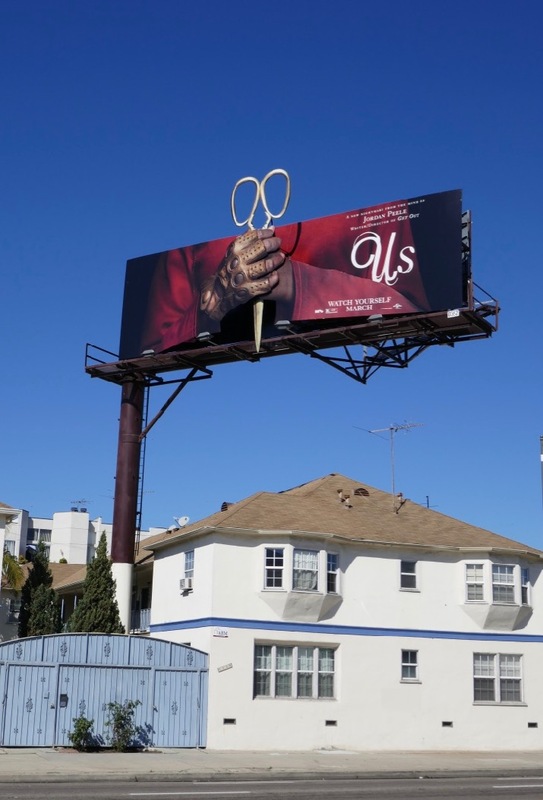 These eye-catching Us movie billboards were snapped along Santa Monica Boulevard, Highland Avenue, La Cienega Boulevard and the Sunset Strip from February 23 to March 14, 2019. 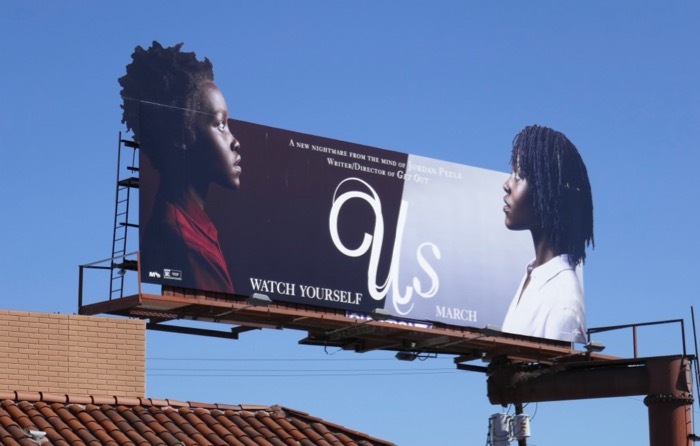 Lupita Nyong'o admirers can also check out these Black Panther movie billboards, whilst fans of the 'sunken place' can enjoy these movie billboards for Get Out. 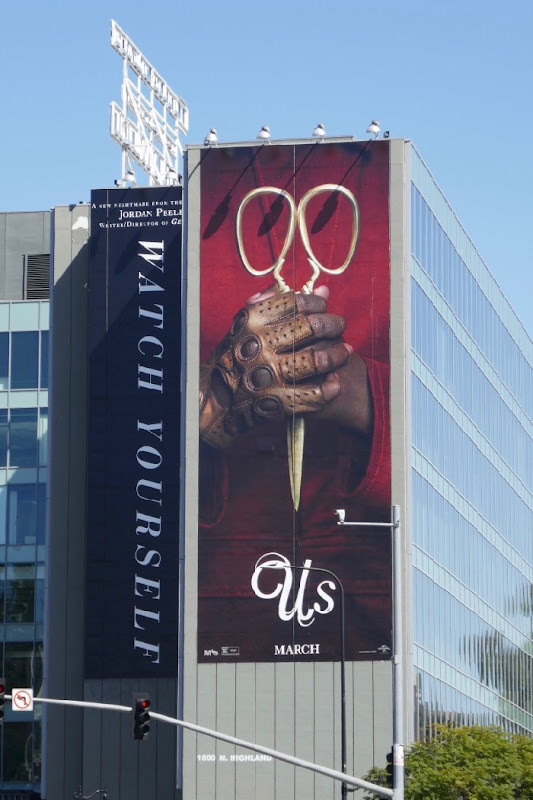 Obviously with this slasher movie, a sharp pair of scissors becomes the new knife to fear. 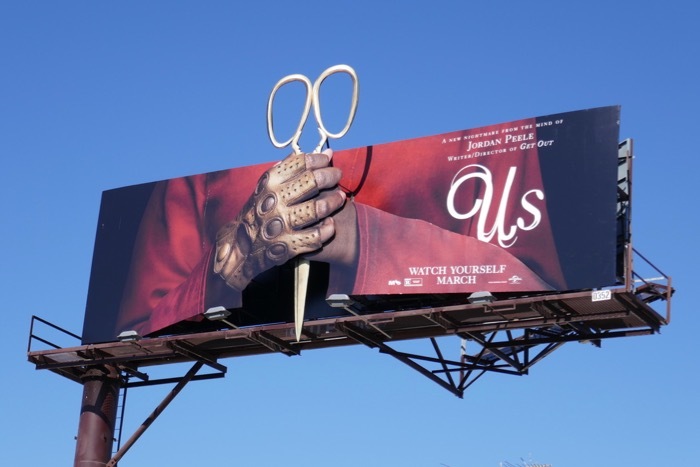 They say never run with scissors, but it's perfectly fine to run from killer scissors.